According to recent news from The Reporter, the CEO of Jelly Belly, the famous candy company that produces the popular candy of the same name, has issued a public statement about a fatal tank accident that occurred on his privately owned property. Authorities say a visitor was run over and killed by a military-style tank or armored vehicle on property owned by the candy company CEO. The accident is still under investigation. CEO Herman Rowland issued the statement, in which he said his entire family is still in a state of shock. He went on to say an invited guest of the family was there for a family reunion, when he “was involved in an off-road vehicle accident on private property.” He then went on to express many good qualities about the victim and how his loss has affected the family. This off-road vehicle is not what one typically associates with the term, since authorities described it as a battle tank. Apparently, Rowland has been a long time collector of military vehicles, and this was one of the vehicles in his private collection. Authorities say one guest was given permission to take guests on rides around the property in the military vehicles if they so desired. A 55-year-old guest of the family was riding on the tank, but was seated on the front of the vehicle and was not inside the passenger compartment. 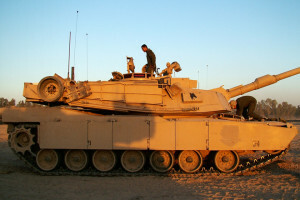 The tank went down a steep hill, causing victim to be thrown forward to the ground in the tank’s path, where he was run over by the steel treads propelling the tank. Someone called 911 immediately following the accident, but there was nothing that could have been done to save the victim, as he was killed as soon as he was run over by the tank. Authorities say other family members who were at the house for the family reunion where in state of apparent shock and seemed inconsolable following the fatal accident. Rowland said his family would cooperate with the authorities and provide any needed assistance. It is important to note that nobody has been deemed negligent or otherwise responsible for this tragic accident at this time. As our Boston personal injury attorneys can explain, if you are on someone else’s property and are injured in the Commonwealth of Massachusetts, you may have good cause to file a premises liability action. While many states around the nation use a complicated doctrine that examines the purpose for which the victim was on the property and several other factors to determine if victim was social guest or business guest, or if he or she was an invitee or license, the Supreme Judicial Court in Massachusetts simplified the law in this state in the 1970s. Under the current law, a landowner has a duty act in reasonable and prudent manner to prevent foreseeable injury to foreseeable persons and property. This standard is the same as the negligence standard in any other case and makes it much easier to determine whether you have a valid claim.